Many regard Sarkodie as the best rapper in Ghana. 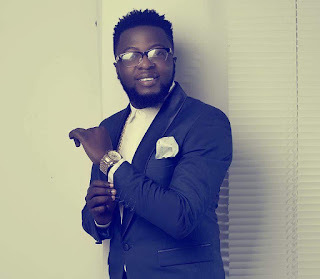 Many may have doubts but it is believed he’s also one of the best on the African Continent. 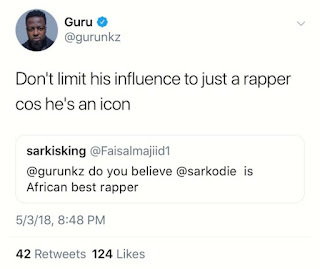 A random Twitter user who was obviously looking for trouble asked rapper Guru if or not he believes Sarkodie is the best rapper from Africa. Some may argue but some other rappers would have denied this. Saying they are the best in Africa themselves.